The former Jaipur royal family has decided to take disciplinary action against the officials for not providing them details about Sanjay Leela Bhansali’s film ‘Padmavati’, which courted controversy and protests by Karni Sena and giving permission for its shooting at Jaigarh fort here. 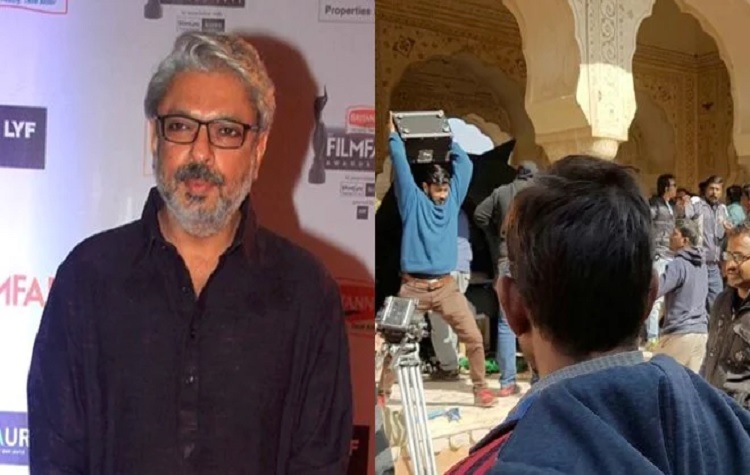 The shooting was going on at the Jaigarh fort, owned by the former royal family, when the members of Karni Sena staged protest and vandalised the set on January 27, accusing Bhansali of distorting the historic facts in the film. “The department set up to take care of shootings and granting permission did not provide full information to the Royal Family relating to the film and gave permission to shoot it. When it came to the knowledge of the Royal Family, disciplinary action is being taken against the erring officials of the department,” a release from the family said tonight. Former Rajmata Padmini Devi in statement said that Jaipur Royal Family stands committed to protect the proud history of Rajasthan. “Anyone attempting to twist or change the history of Rajasthan will not be tolerated,” she said. She informed that the narration of entire story will be thoroughly checked before giving permission for any shootings taking place in the historic monuments of the family in future. “Anyone attempting to distort the heritage or the history will not be tolerated at any cost. The Family stands with Shri Rajput Karni Sena and other such national organisations which want to keep alive the rich and proud history of Rajasthan,” she said. Claiming that the upcoming film has a dream sequence showing a love connection between Rani Pamavati (played by Deepika Padukone) and Allauddin Khilji (played by Ranveer Singh), the Sena members has stormed the fort and vandalized the set. Bhansali was allegedly slapped by the members who next day packed up the shooting. However, the issue was resolved next day when the Bhansali Productions clarified that there was no dream sequence or any objectionable or romantic scene between Rani Padmavati and Allauddin Khilji.